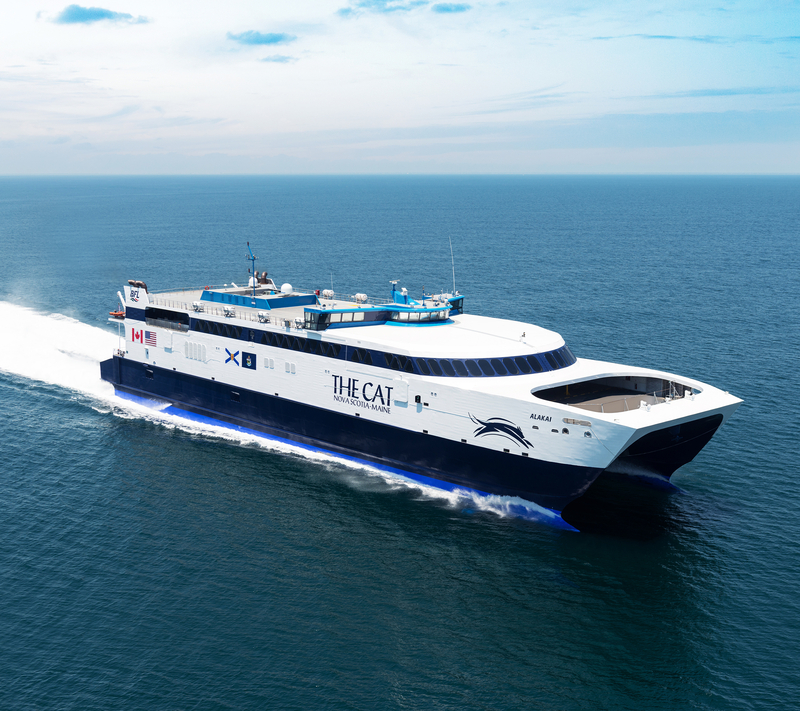 “The Cat,” a high-speed ferry, officially re-opened for business on Wednesday, allowing Americans to flee the domestic eastern seaboard and be kayaking, hiking, and camping in Nova Scotia in half the time that it used to take. Last year, a different boat sailed between Portland, Maine, and Yarmouth, Nova Scotia, taking a longer route. Though it was a bit cheaper to take (with fares starting at $89), time is money — as many East Coasters know all too well — and the newly christened Cat is saving travelers a lot of time. RELATED: Is Canada's New Prime Minister the Fittest World Leader? The ferry offers daily departures at 2:30 p.m. from Portland and arrives in Yarmouth, Nova Scotia, at 8:30 p.m. This schedule cuts the normal travel time down by nearly five hours, since driving the 418 miles from Portland to Nova Scotia along I-95 takes over nine hours. The new route of The Cat whittles that journey down to 185 nautical miles and just five-and-a-half hours of travel time. One-way fares start at $107 for adults and $199 for vehicles. And since the ferry is a retired Navy vessel, there is plenty of room onboard. The boat can accommodate 750 passengers, as well as 200 cars. On board, distract yourself with food, a bar, movie lounges, a kids’ play area, gift shop, and more (or, you know, the views).